Here’s a weird one to bust out at your next dinner party: A new machine says it can make your wine taste better by blasting it with sonic energy. The Sonic Decanter recently reached its $85,000 goal on Kickstarter, with more than 700 investors jumping in to support the project. (There are still a couple of days left for others to nudge their way in for a discounted rate on the product.) It purports to use ultrasound energy to change the molecular properties of non-carbonated red and white whites, making the drink “smoother” and more flavorful. Wine connoisseurs may wonder exactly how this is superior to a normal decanting process, which involves pouring wine into a separate bottle to remove sediment. According to a video on the Kickstarter page, the Sonic Decanter removes oxygen from the wine — the opposite of what normal decanting does — which supposedly helps preserve flavor for longer. We found the Sonic Decanter to be something of a mixed bag, at least in its current, pre-production form. The makers sent The Huffington Post a prototype unit to put to the test. Editors from HuffPost Tech and HuffPost Taste teamed up for a blind tasting: We poured eight cups of “pre-decanted” white wine and eight cups of “post-decanted” white, then did the same for the red. Here’s what we discovered. The process takes a bit of time. You have to wait 20 minutes for the Sonic Decanter to operate on a bottle of red, and 15 minutes for a bottle of white. During that time, the prototype made a bit of noise, but Mike Coyne — CEO of Dionysus Technology Concepts, the company that will make the Sonic Decanter — told HuffPost via email that the final product will be sound-engineered and quieter. Click to listen: Our Sonic Decanter prototype was a bit noisy, though you probably wouldn’t notice if you had a few folks over. 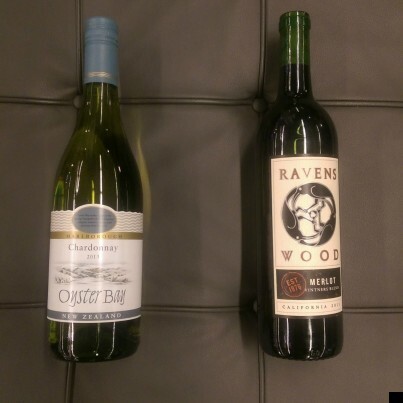 The white wine fared considerably less well in our taste test. Before starting the Sonic Decanter, you pour in two cups of cold water for the bottle to rest in. But remember, the process takes a full 15 minutes — enough time for a drink to warm up a bit, even under normal conditions — and we also noticed that the machine itself seemed to warm both the water and the wine bottle during the decanting process. That’s not great for a glass of white. Before you use the Sonic Decanter, you fill it with cold water. All of our white wine tasters noticed the warmth immediately and said it made drinking the wine less pleasant. Those who weren’t too distracted by the temperature noted that the decanted white was “smoother” with “less bite,” but everyone still preferred the cooler glass. Coyne didn’t seem too surprised by this outcome. 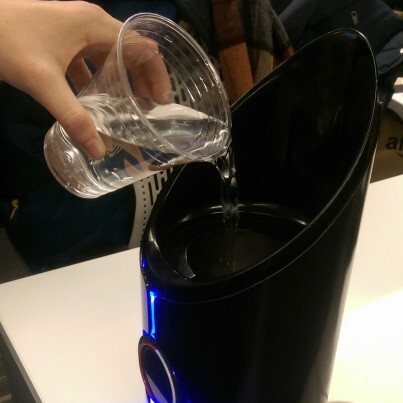 The Sonic Decanter process apparently results in a temperature increase of 3 to 4 degrees for the wine — an effect that Coyne said should not be present in the final product. He also said it’s important to replace the water between each bottle — we added some cool water the second time around, but didn’t switch it out completely — and noted that the wine bottle can be re-chilled after the decanting process. In general, he said, people do say they notice the effects more in red wine. “Red wine has more components than white wines that are affected by the Sonic Decanter process. Therefore many testers report that the improvement is more noticeable in red wines,” Coyne told HuffPost. Is there actually anything to the science of the Sonic Decanter? John Giannini, a vineyard and winery consultant who teaches winemaking classes at Missouri State University, told HuffPost that he wasn’t totally sure. He did say that because the red wine tasted better to some testers, there might be merit to the idea. The Sonic Decanter goes into production next year and is expected to ship in May 2015.